In 1968, rock music was at its peak popularity. The Beatles were on a creative high, following a busy 1967 during which they released “Magical Mystery Tour” and “Sgt. Pepper’s Lonely Hearts Club Band” in their longest album, “The White Album.” The Rolling Stones would release some of their best-known songs, including “Sympathy for the Devil,” in 1968, and Jimmy Page, Robert Plant, John Paul Jones, and John Bonham formed Led Zeppelin at the end of the year. No instrument characterized the rock movement of the 1960s more than the guitar did, and while all three of those groups and others made prominent use of the guitar, no musician is, even in the present day, as closely linked to the electric guitar as Jimi Hendrix is. 50 years ago, Hendrix, with the rest of the Jimi Hendrix Experience (bassist Noel Redding and drummer Mitch Mitchell), released his only chart-topping album, “Electric Ladyland,” an hour and 15 minute-long work that presented a definition of rock music that in equal parts drew upon rock’s young history and dove into new, experimental realms. 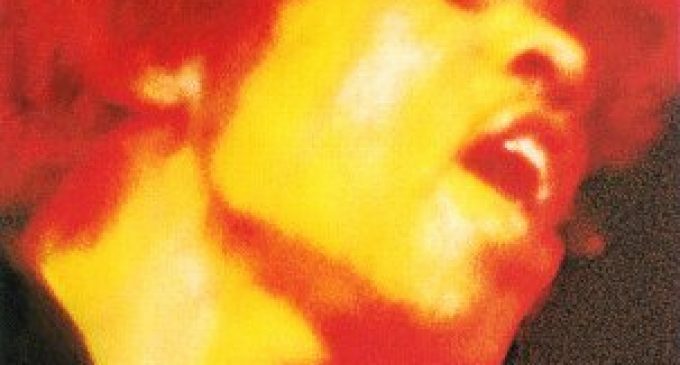 Unlike many other albums of its time, “Electric Ladyland” often tries to establish its meaning through instrumentals, instead of leaning solely on the lyrics to do so. The album begins in disarray with “And the Gods Made Love,” a track that consists of an assortment of non-musical noises under pitched-down speech. Hendrix himself said in an interview that, “We knew this was the track that most people will jump on to criticize, so I put it first to get it over with.” Jokes aside, the opener establishes a sense of paranoia and anxiety in the album, a theme that Hendrix revisits. Similarly, “Crosstown Traffic,” the third track of the album, uses the synchronization of Hendrix’s guitar licks with drummer Mitch Mitchell’s quick fills to embody a woman that Hendrix is enamored with. This is not to say that “Electric Ladyland” does not have several moments of lyrical depth. In the album’s second track, “Have You Ever Been (To Electric Ladyland),” Hendrix plays off of the album’s pre-established paranoia with a song that seems an alternative to the disorder present in its predecessor. The lyrics (“I want to show you”) offer a journey reminiscent of The Beatles’ “Magical Mystery Tour,” but while the “Magical Mystery Tour” took listeners on a psychedelic trip, “Electric Ladyland” is an escape from the messiness of the current time. “Voodoo Chile” picks up where “Crosstown Traffic” left off in terms of displaying the tight connection between Hendrix’s and Mitchell’s instrumentation. Yet through its psychedelic, almost magical lyrics, the song reverts to the idea of “Electric Ladyland” representing an escape to its listeners. Later on the album, “1983…(A Merman I Should Turn to Be)” uses similar magical imagery. Still, “Electric Ladyland” does not contain a broad lyrical theme that pervades in every track on the album. Moreover, while some of the songs contain anti-Vietnam war messages (“It’s really such a mess… / Every inch of earth is a fighting nest,” he sings in “1983…(A Merman I Should Turn to Be)”), many others don’t contain a clear message. One could interpret the lack of lyrical gravity as detrimental to the album. Granted, it is the album’s main fault, but Hendrix’s delivery of these lines also allows for one of the album’s biggest strengths: its use of the voice as a musical instrument. 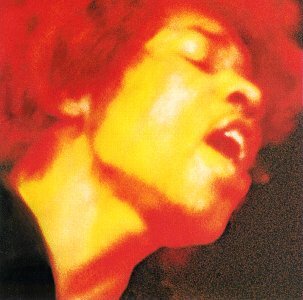 In several songs on “Electric Ladyland,” including “Gypsy Eyes” and “Burning of the Midnight Lamp,” the music production finds Hendrix’s vocals layered with or beneath other instruments. In “Gypsy Eyes” specifically, the vocal melody’s imitation of the guitar melody in the hook drives home the notion that, on this album, the voice isn’t the central focus. This is an especially novel idea in contemporary popular music, in which the voice garners most of the focus in songs. In “Electric Ladyland,” the lack of emphasis on the voice gives Hendrix’s guitar the opportunity to shine, and does so impressively. Nearly every song on “Ladyland” has a guitar solo in which Hendrix demonstrates his own virtuosity. Beyond Hendrix’s technical capability, the guitar plays a particularly interesting role in the album when it “sings.” On the aforementioned “Crosstown Traffic,” Hendrix pairs his guitar with a kazoo in order to create the effect of the guitar having a voice-like quality. On multiple other songs, Hendrix similarly uses effects to give his guitar vocal qualities. This element of the instrumentation characterizes the album and the experimentalism of its project: On “Electric Ladyland,” the guitar plays the role that the voice typically does in popular music.